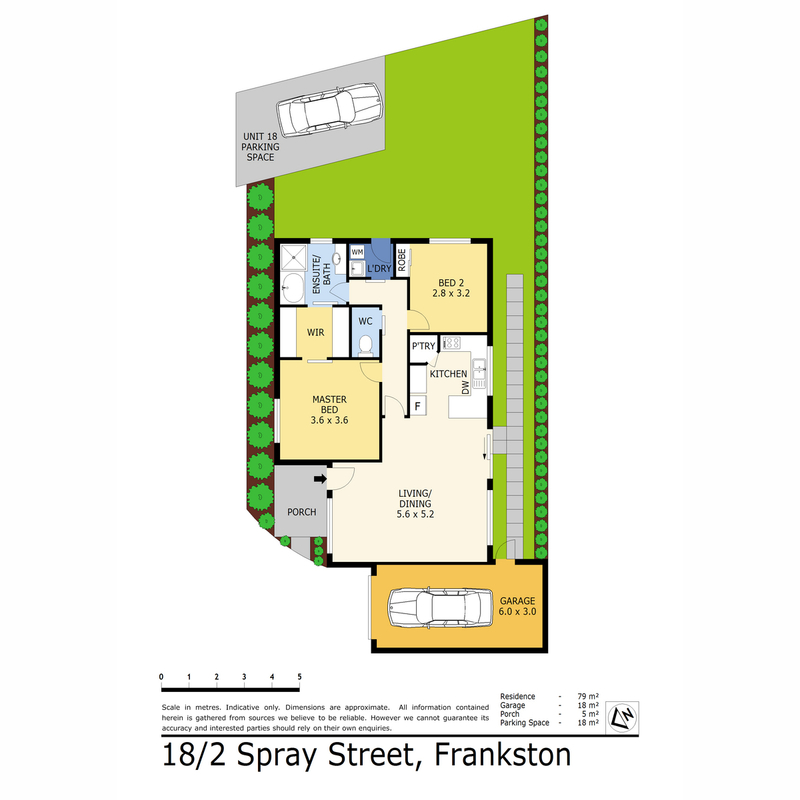 WALK TO EVERYTHING FRANKSTON HAS TO OFFER! UNDER CONTRACT – OPEN HOME CANCELLED! (Set in a quiet spot at the back of a well maintained and tree lined complex, this comfortable two-bedroom brick residence is perfect for first time investors, a couple, or downsizers. Step into the spacious carpeted open plan living and dining area, adjacent to the light-filled kitchen with its brand new oven, a dishwasher and plenty of cupboard space. The area flows through sliding doors to the outside, with a private and easy to maintain backyard ready for leisure time. Venture down the hallway to find the master bedroom, which includes a large, two-sided walk through robe, opening into the bright family bathroom with separate bath and shower. The second bedroom is generously sized and features double BIR, and there’s a nearby separate toilet and dedicated laundry with outdoor access to the clothesline. There’s a centrally located split system and in-ceiling ducted heating to take care of the unit’s heating and cooling, a Foxtel connection, a remote controlled single car garage, plus an extra car space on the title. If you like the idea of adding your own touch to the unit, the current neutral colour scheme makes it a breeze. 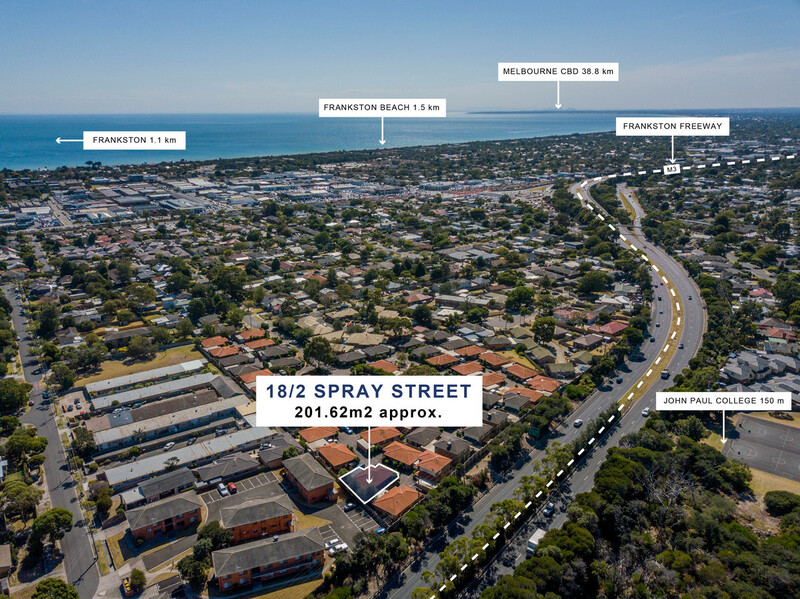 An easy walk to the Frankston CBD, Bayside Shopping Centre, public transport, TAFE, the beach and with a local milk bar around the corner, this property has convenience stamped all over it. Race in for this one! Please have your I.D. available upon inspection.